Is to serve as a resource for the Italian American Community; to preserve the Italian American heritage and culture; to promote and inspire a positive image and legacy of Italian Americans; and to strengthen and empower ties between the United States and Italy. NIAF offers several ways that commercial enterprises, businesses, non-profit organizations, educational institutions, media, smaller groups, even individuals, can work directly with us for mutual benefit. NIAF Partners are for-profit businesses, organizations, foundations or groups that join in an ongoing relationship to provide programming, benefits or services to our membership reflecting and supporting NIAF’s mission. This is a formal agreement that mutually serves the interests of both NIAF and the partner. For more information, contact Gabriella Mileti at gmileti@niaf.org call 202-939-3116. 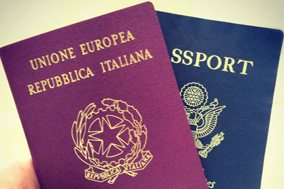 Non-profit membership organizations that share a vision and mission similar to ours have the opportunity to become an official NIAF affiliate and join NIAF’s family of Italian American organizations. NIAF will work directly with your organization providing dual membership, networking, special access and opportunities—without jeopardizing your group’s identity. 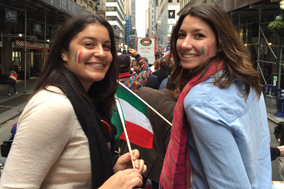 Our goal is to strengthen the ties and build unity in the Italian American community nationwide. For more information, contact Gabriella Mileti at gmileti@niaf.org call 202-939-3116. 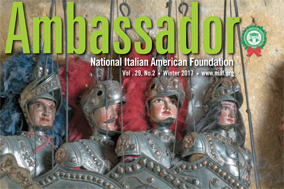 Publicizing an event, performance, film, product or service and want to get word out to our members, the Italian American community, Italophiles and friends, via our website, magazine, social media and other outreach? NIAF can work with you to create a mutually beneficial short-term or long-term arrangement. For more information, please contact Natalie Wulderk at nwulderk@niaf.org call 202-939-3117. If you are interested in promoting books, films and other media through NIAF’s website, social media and magazine, NIAF offers opportunities designed to benefit you and NIAF’s mission. For more information, contact Don Oldenburg at don@niaf.org. Interested in performing at a NIAF or hosting your event at our Washington, D.C., headquarters? 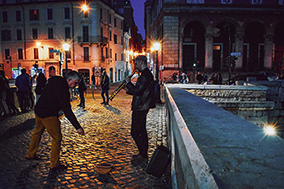 NIAF occasionally collaborates with outside scholars, performers, entertainers, musicians and lecturers who want to showcase their talents at events in conjunction with NIAF, as well as with groups who are interested in NIAF Headquarters as a venue for their events. For more information, please contact Andrea Bartlett at abartlett@niaf.org or call 202-939-3118. For more information, please contact Natalie Wulderk at nwulderk@niaf.org call 202-939-3117.